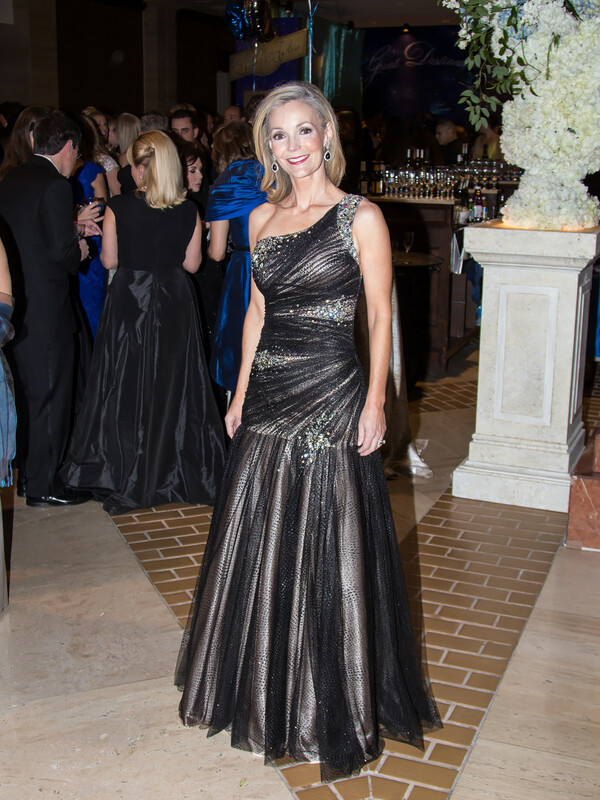 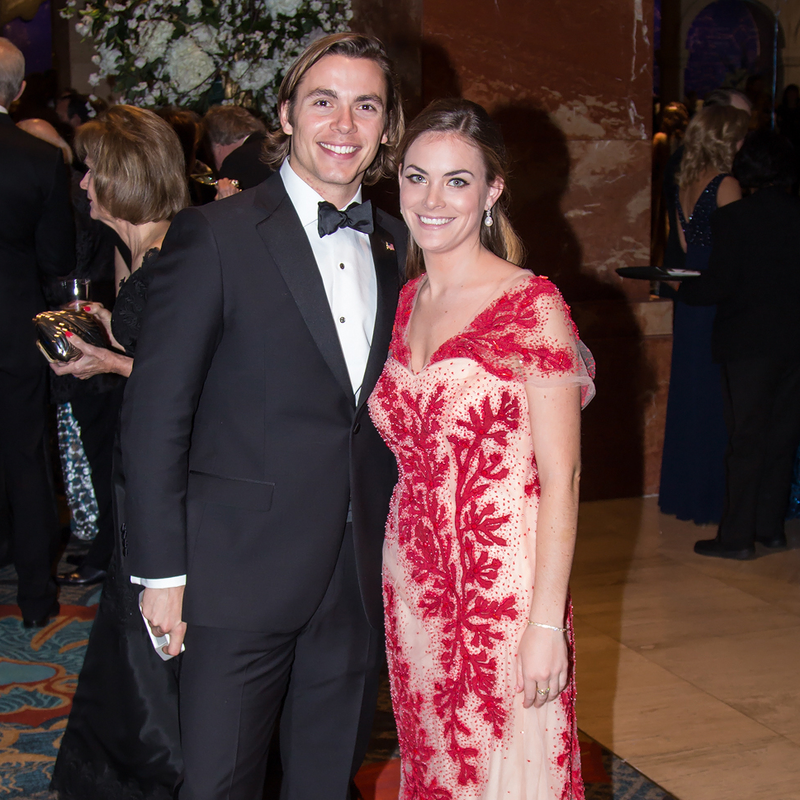 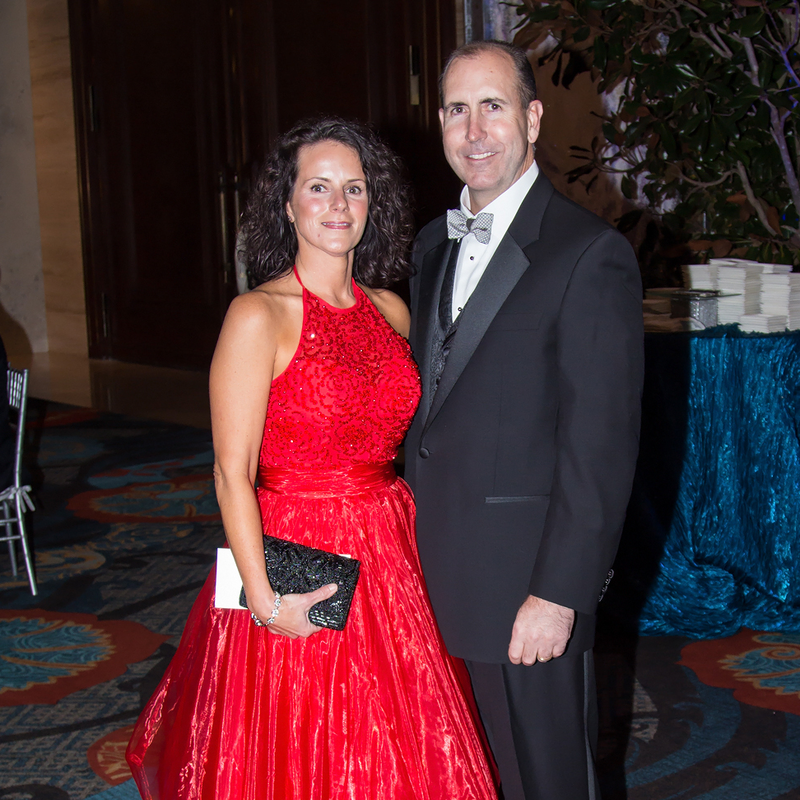 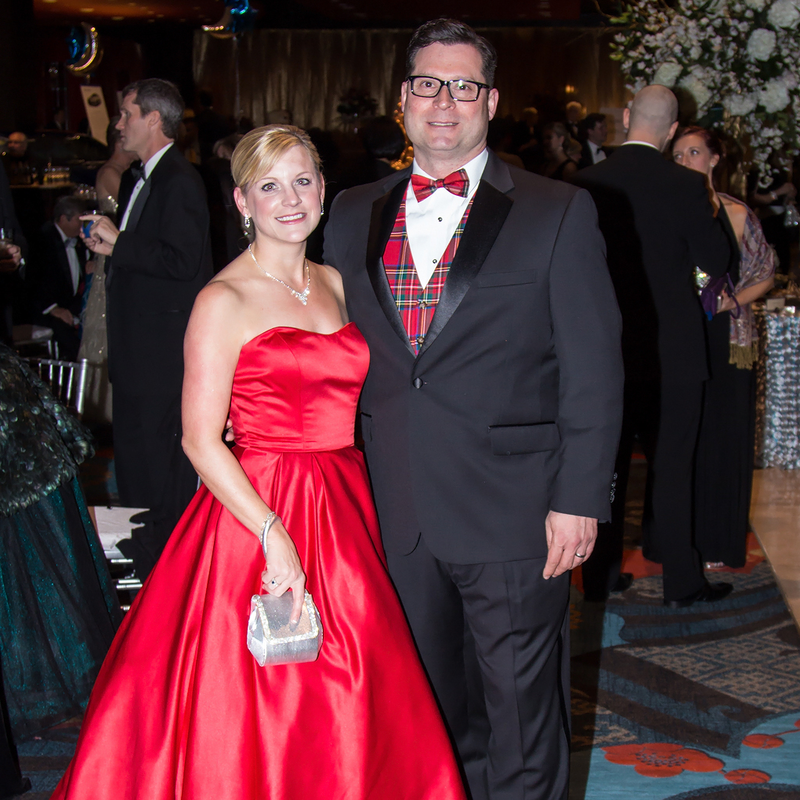 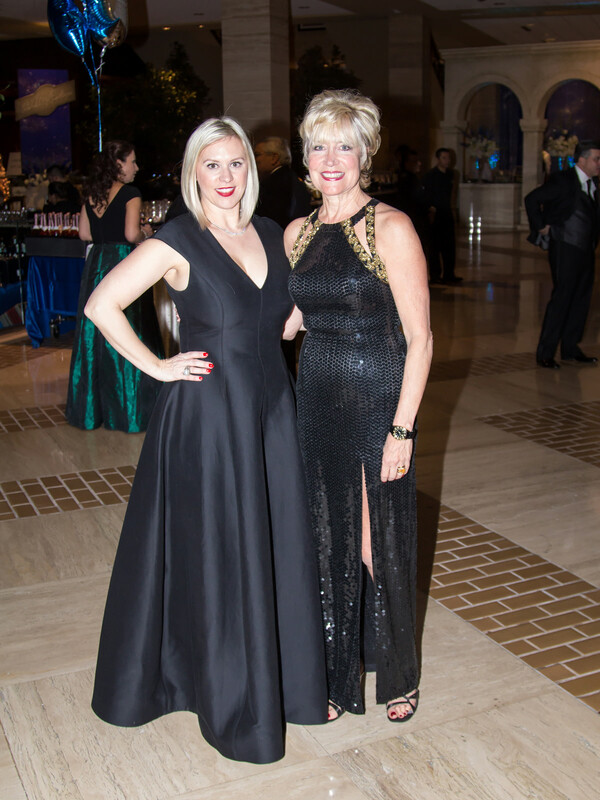 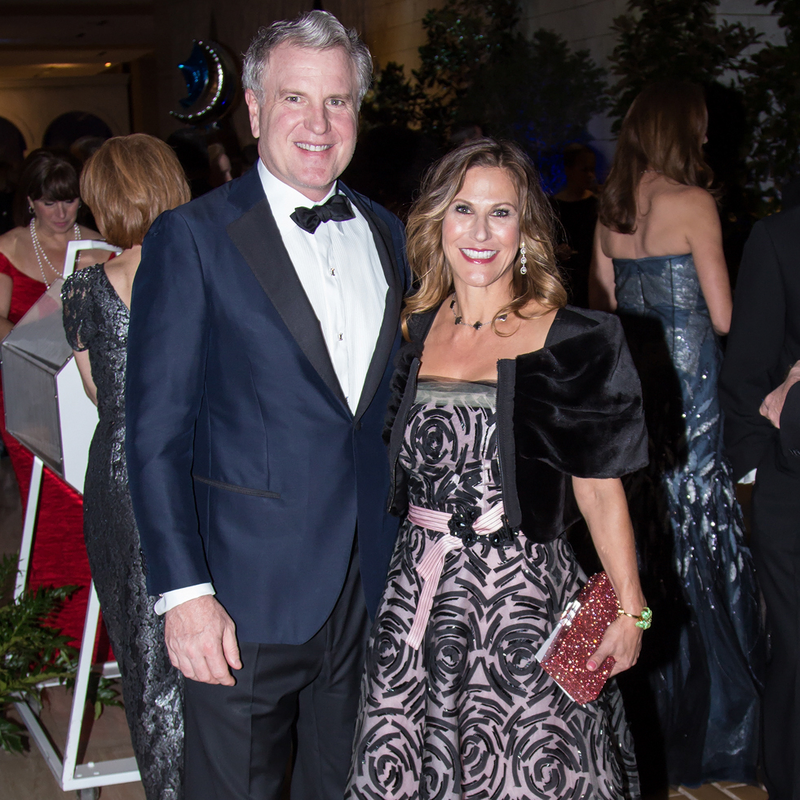 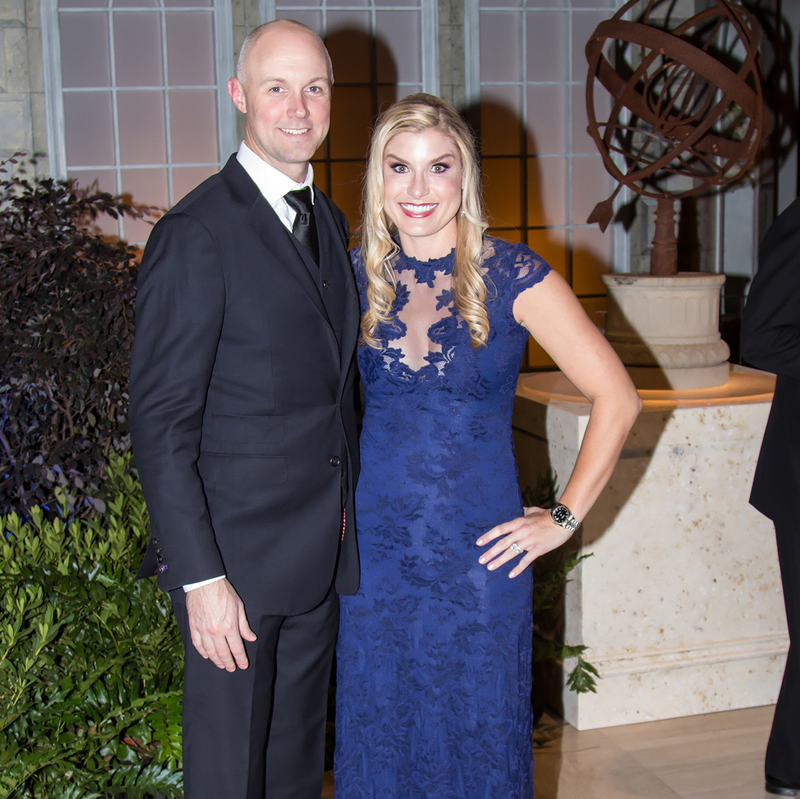 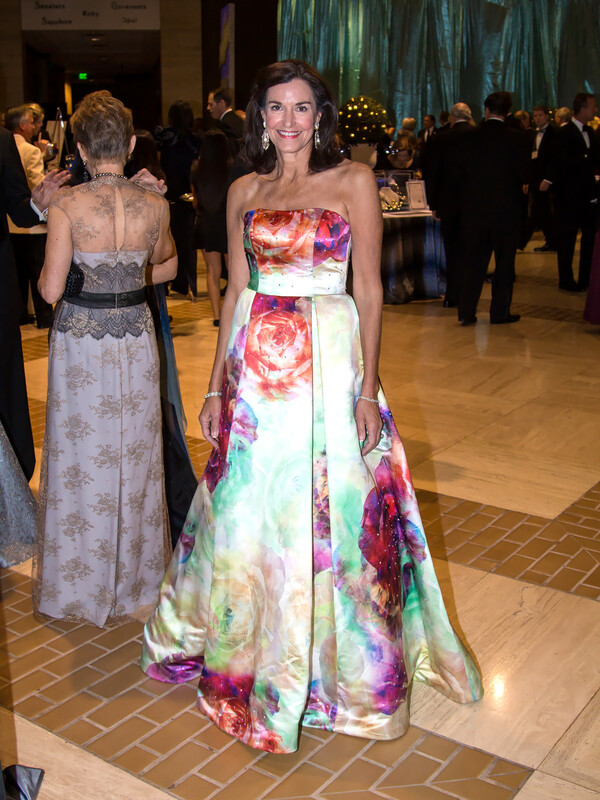 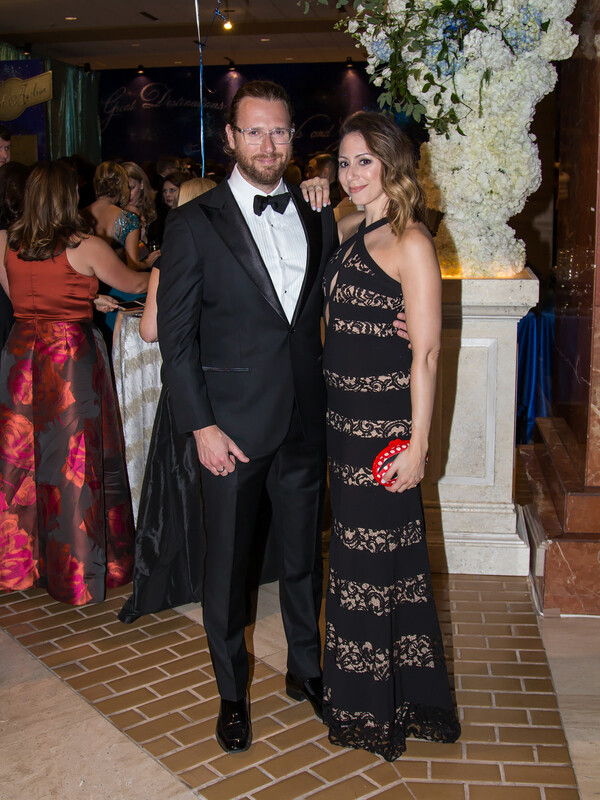 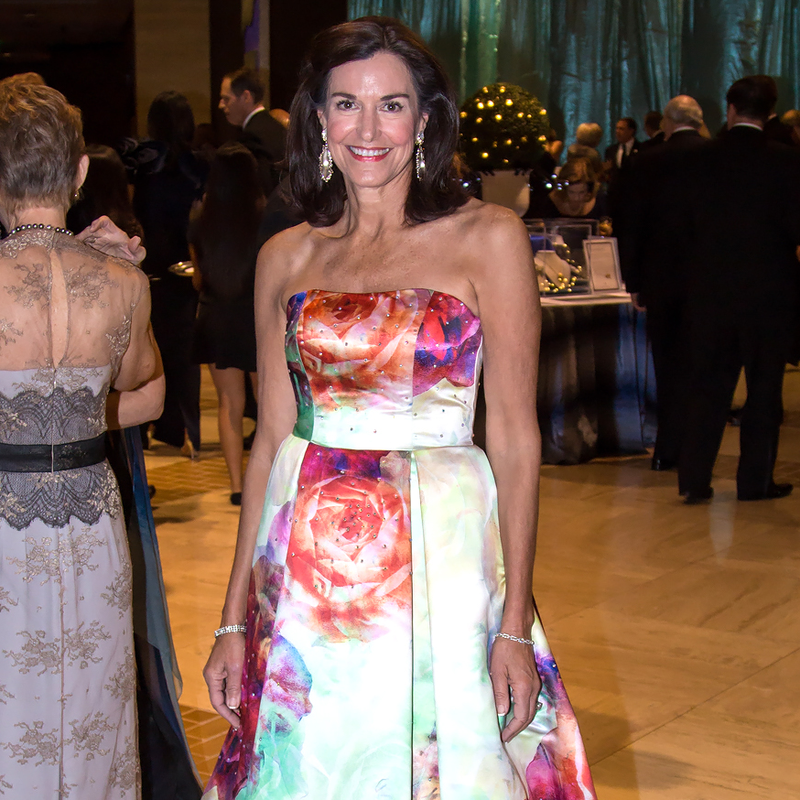 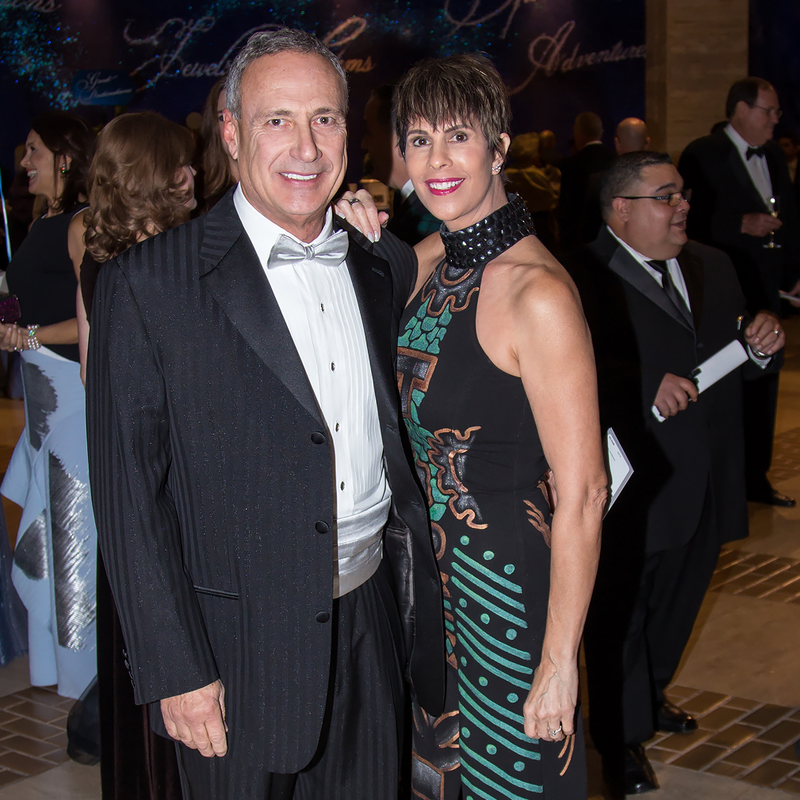 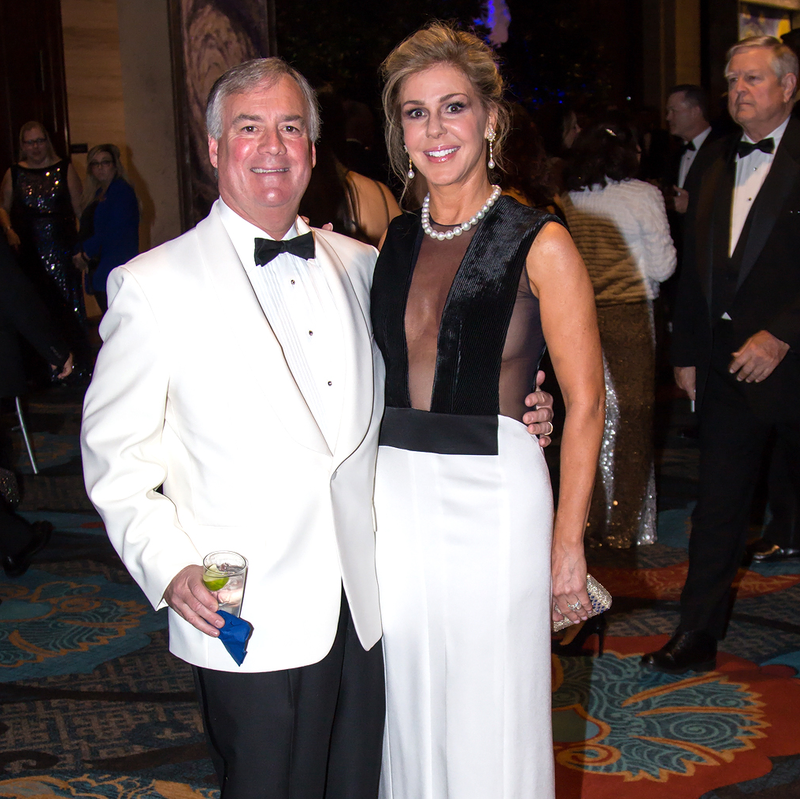 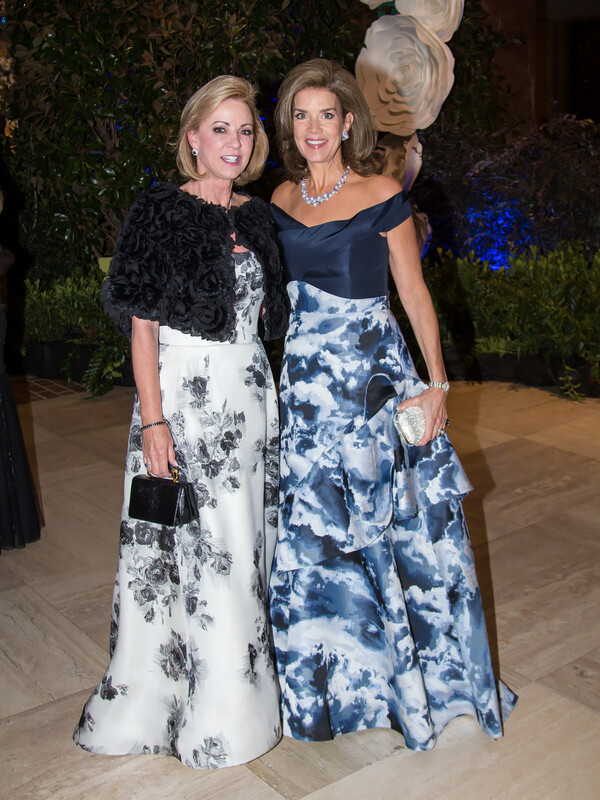 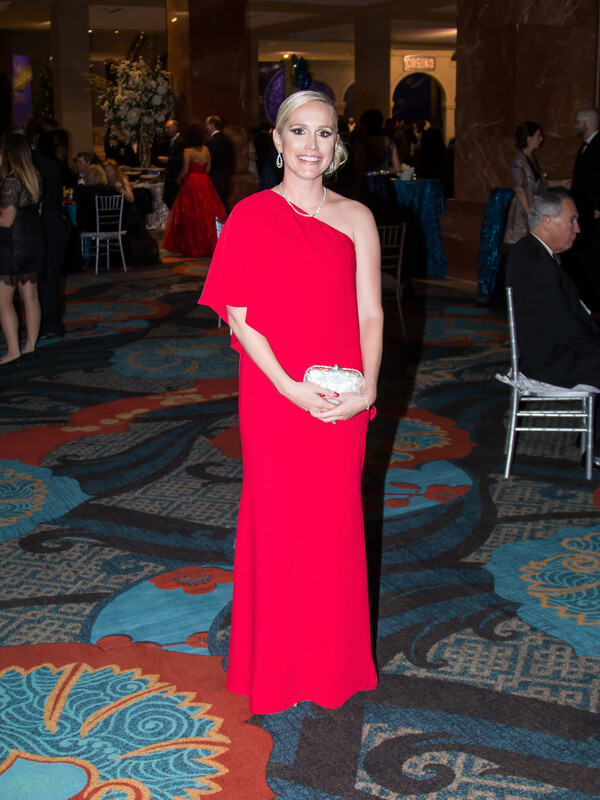 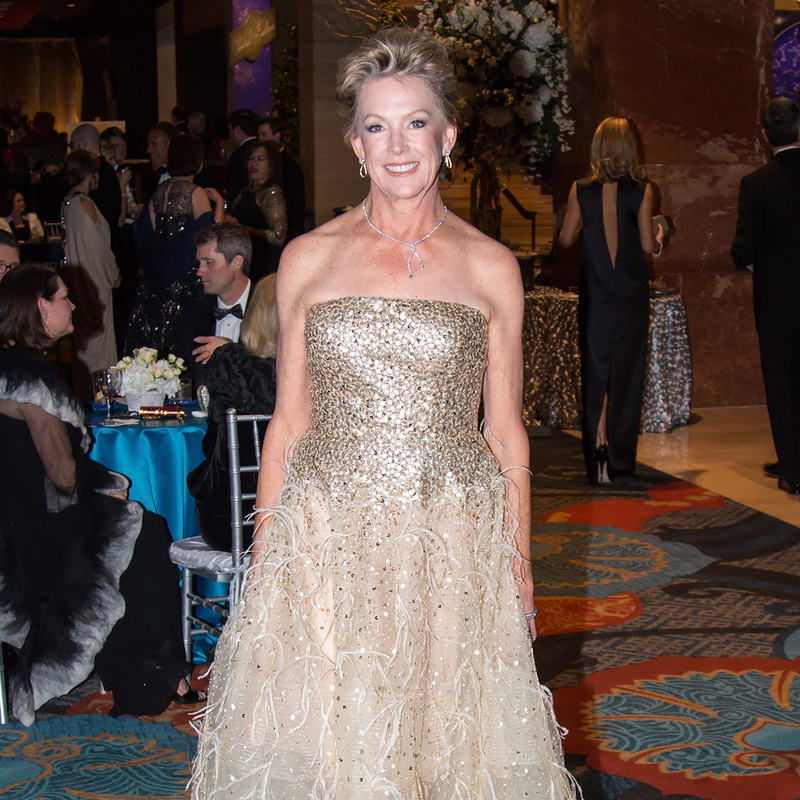 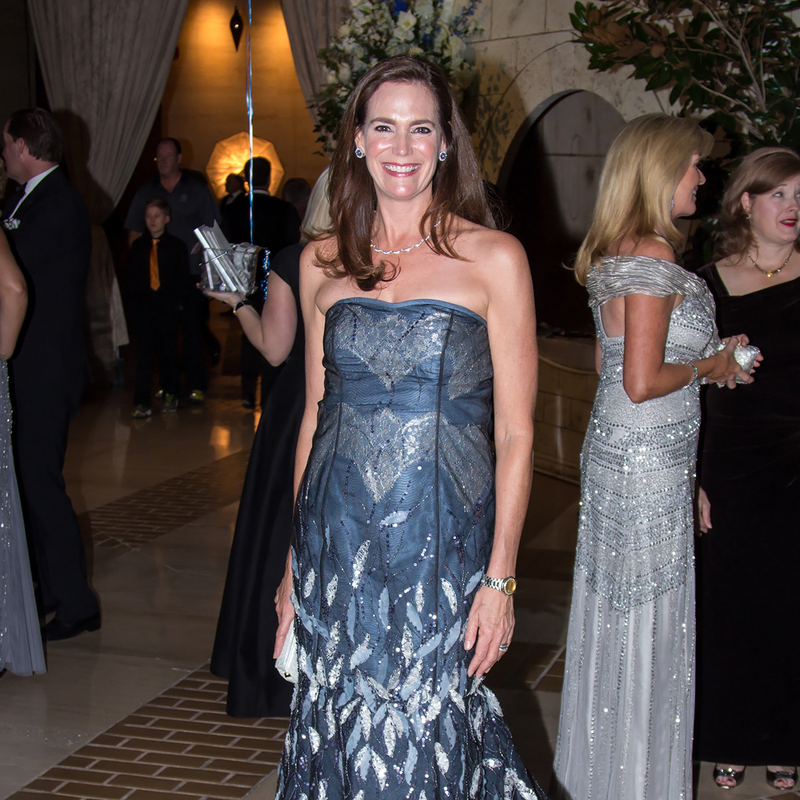 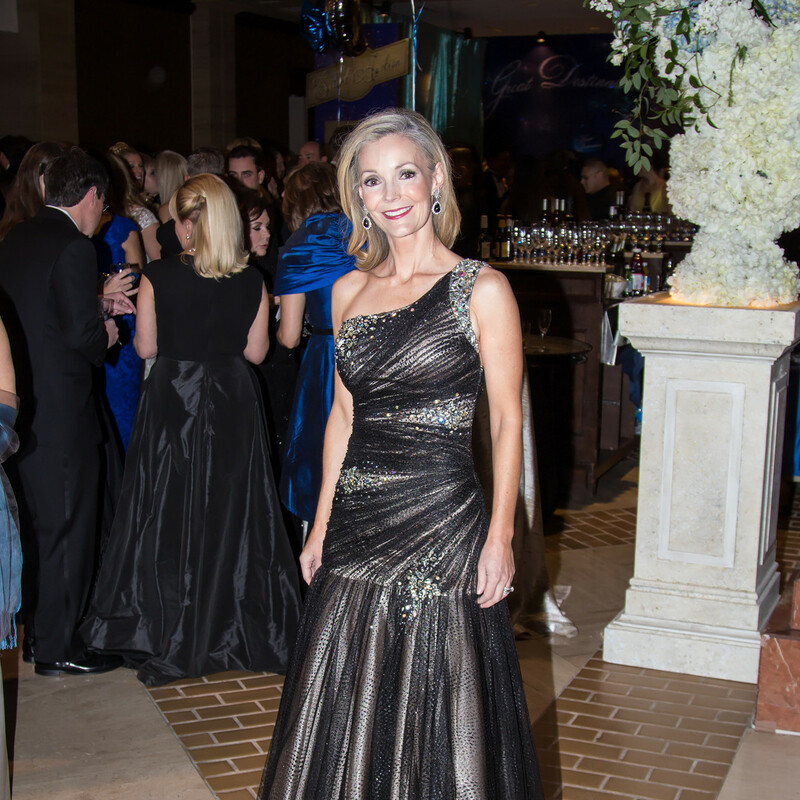 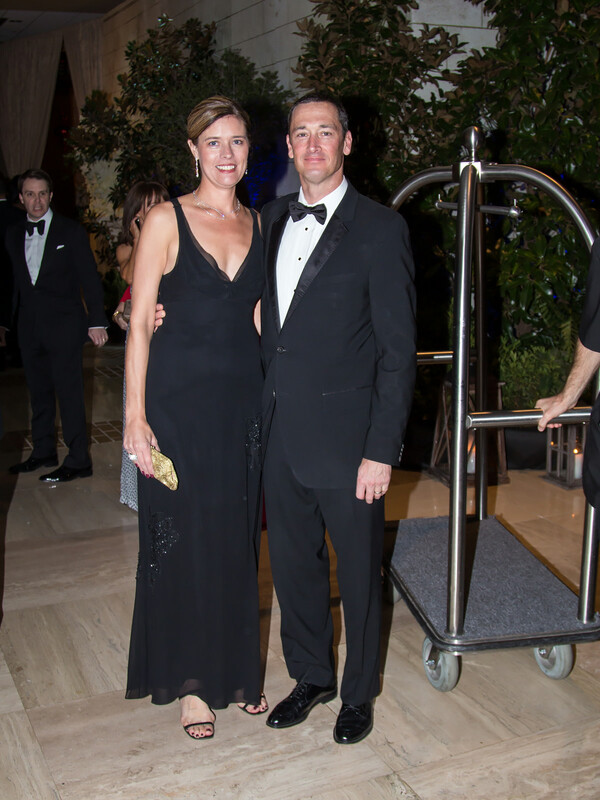 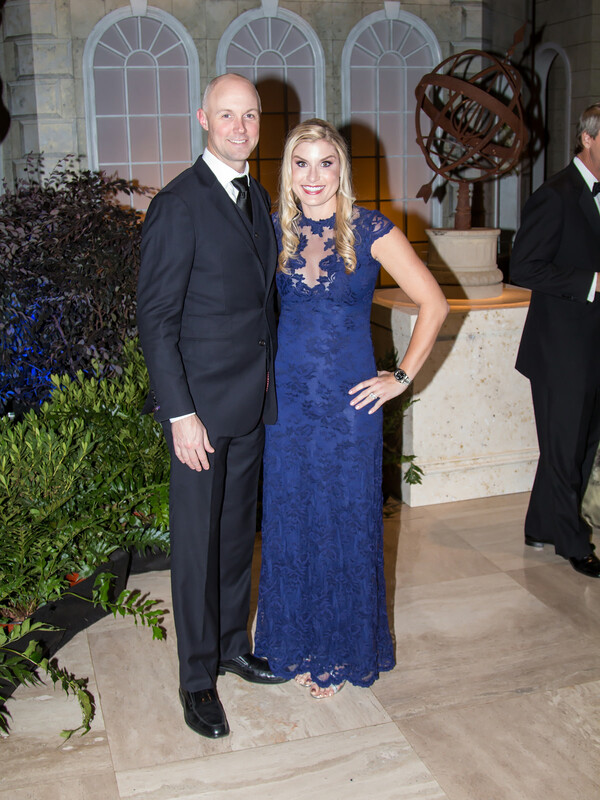 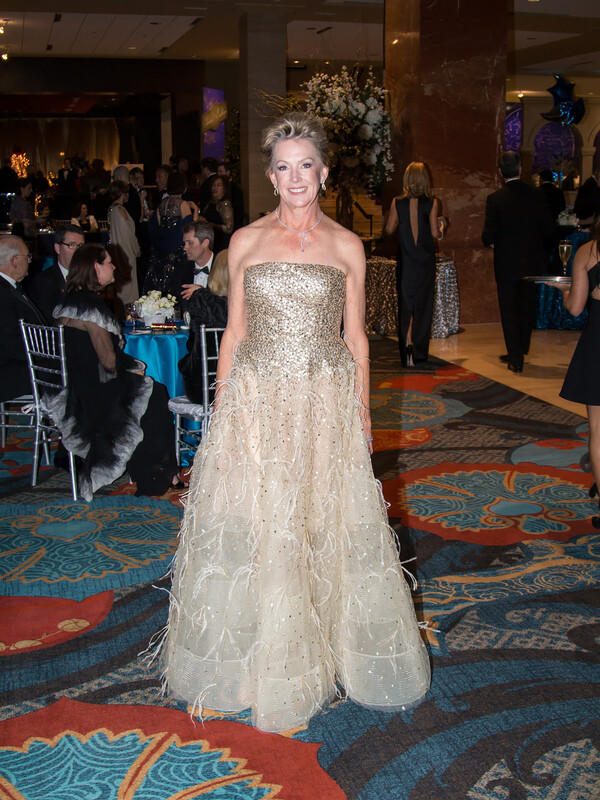 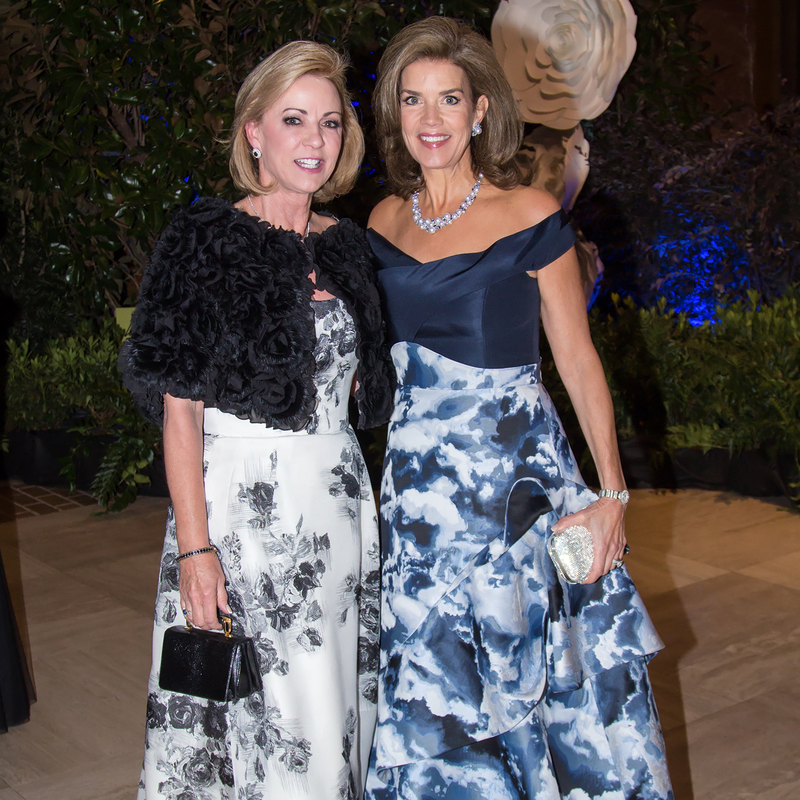 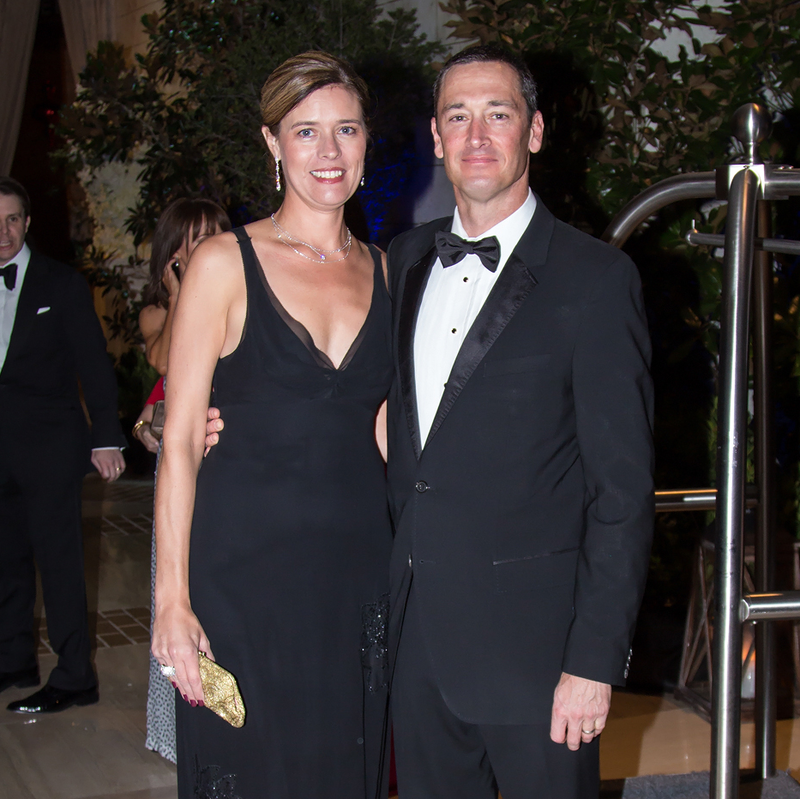 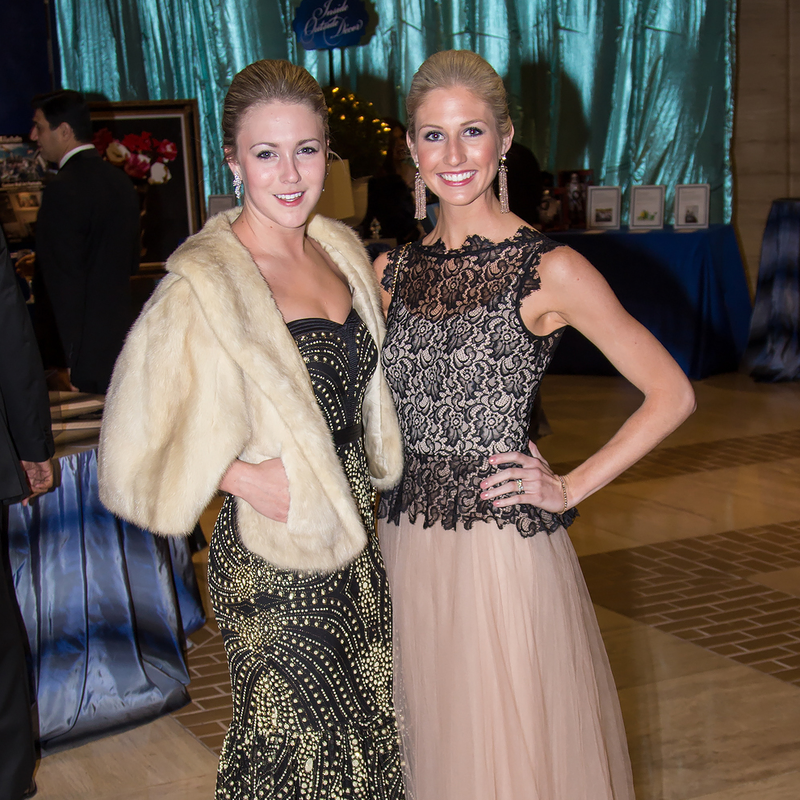 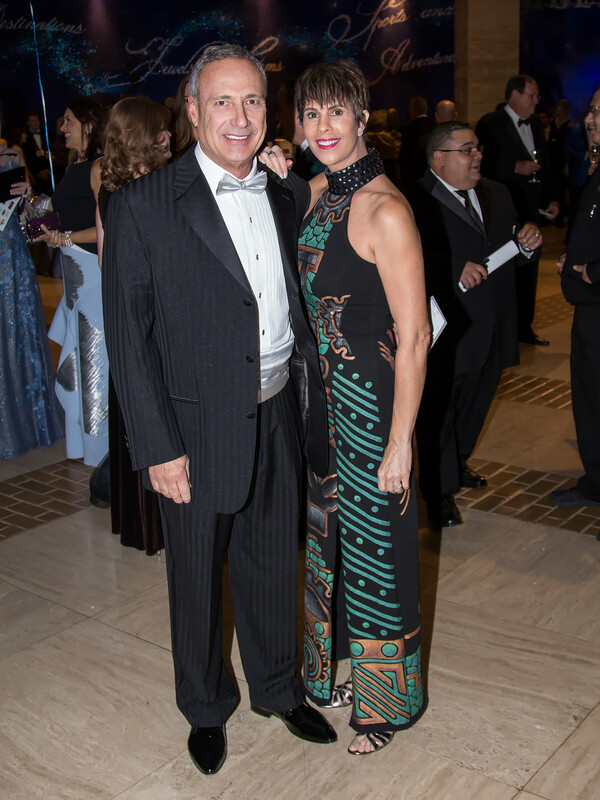 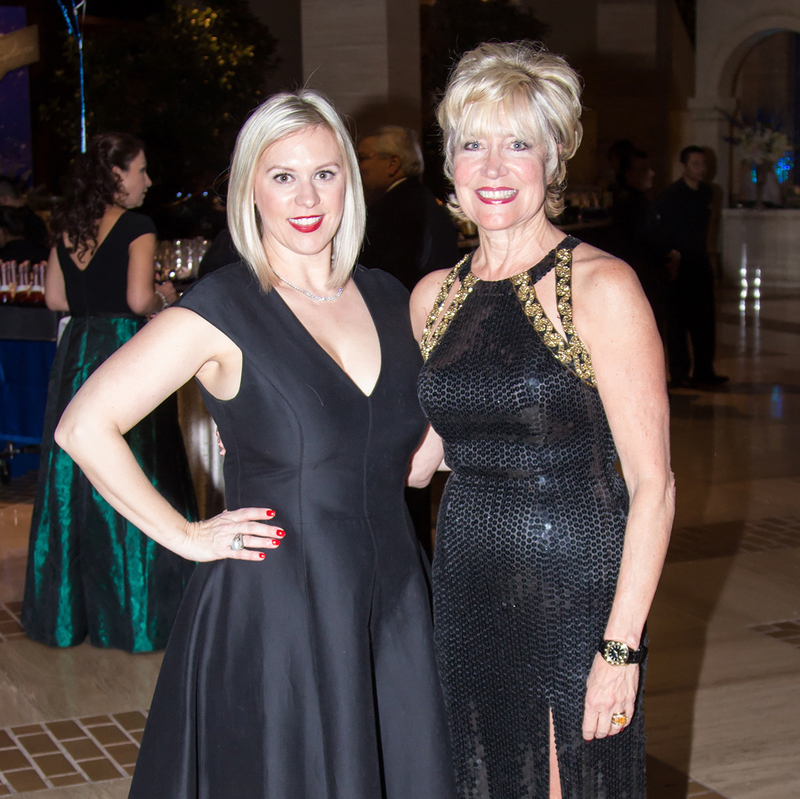 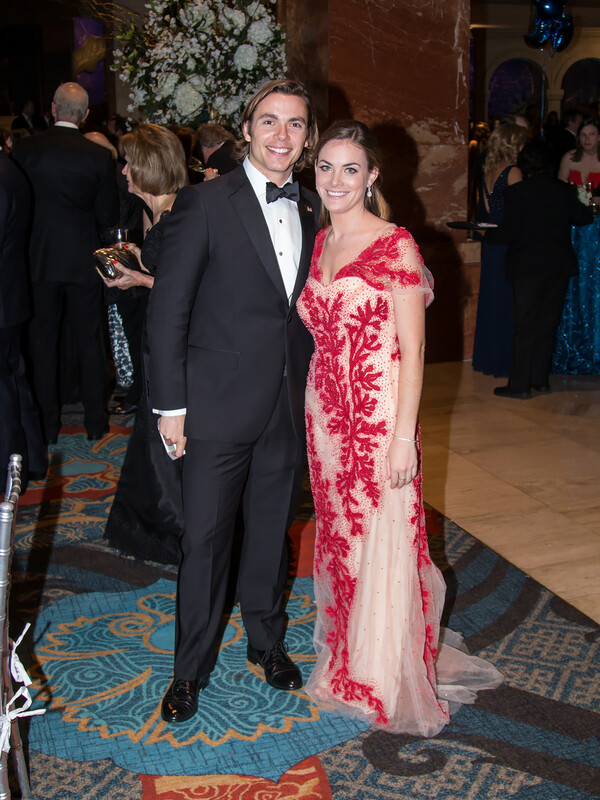 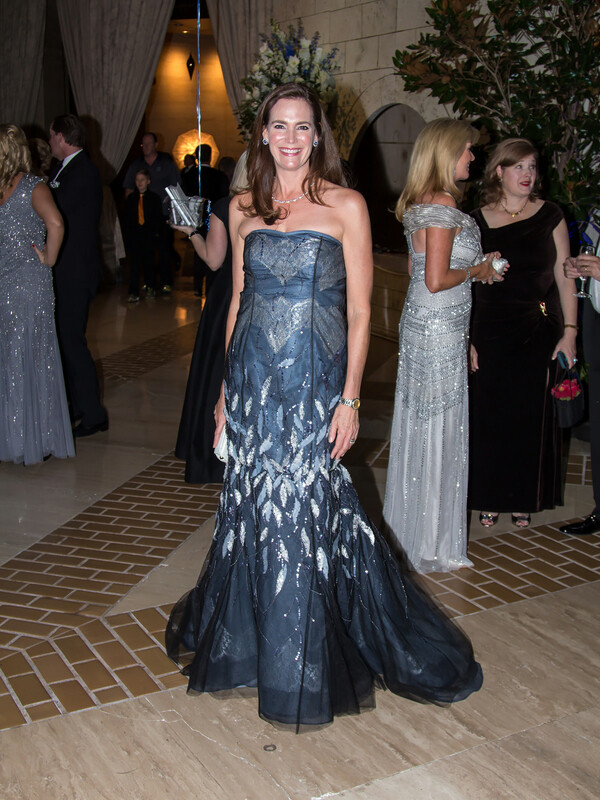 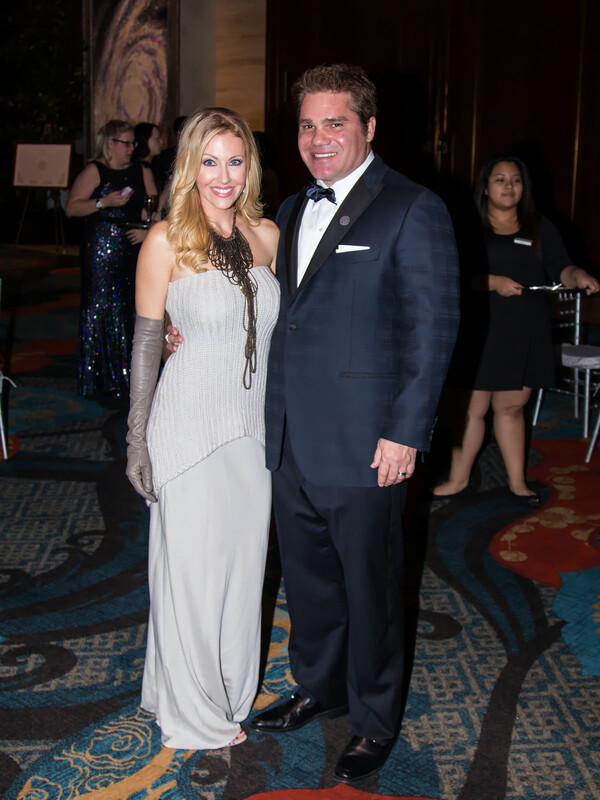 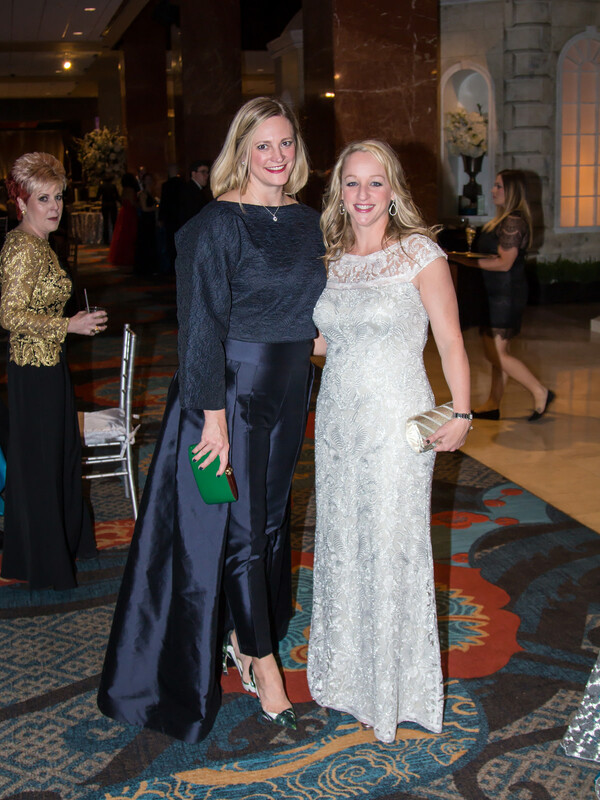 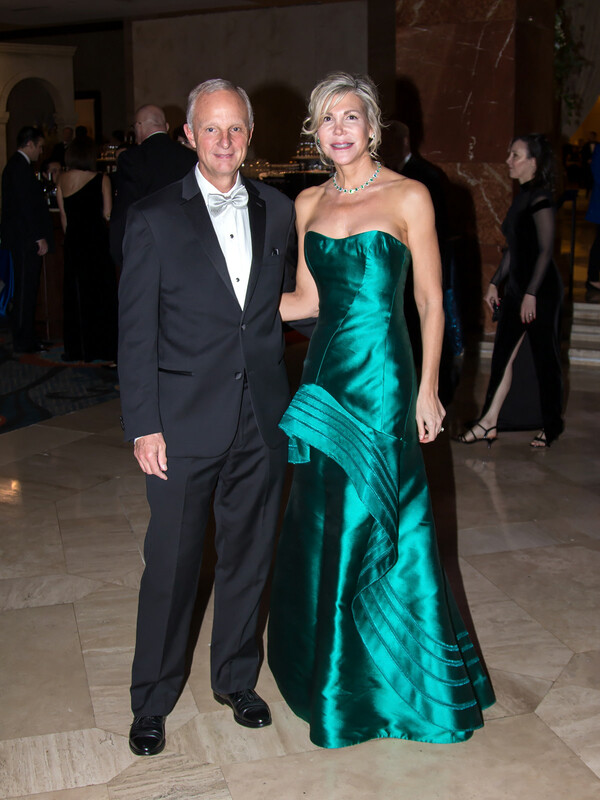 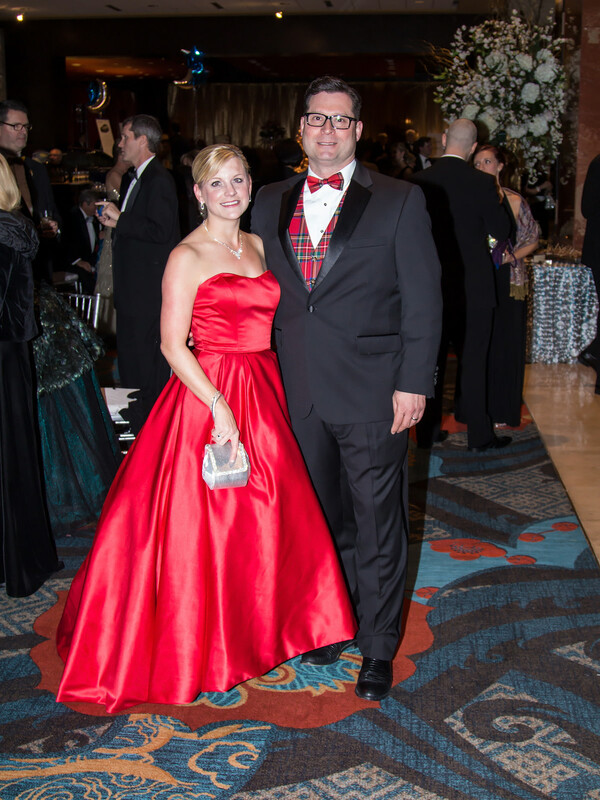 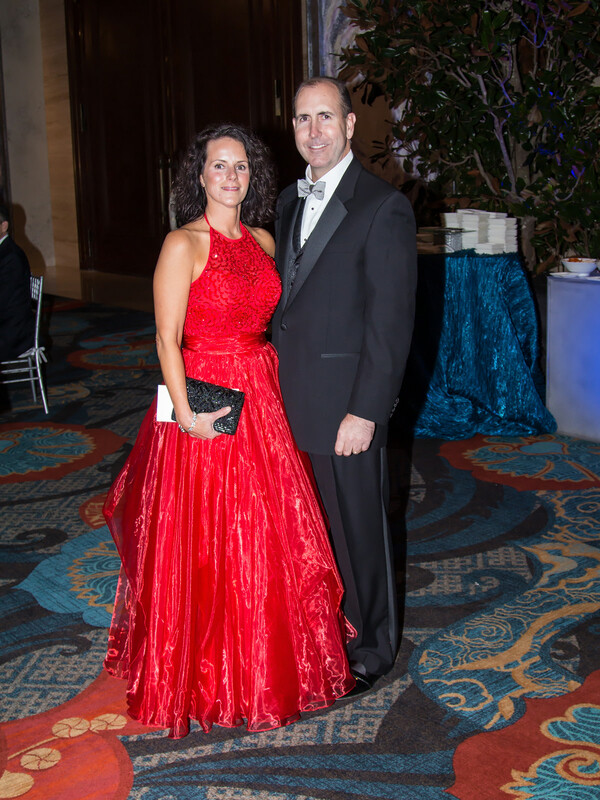 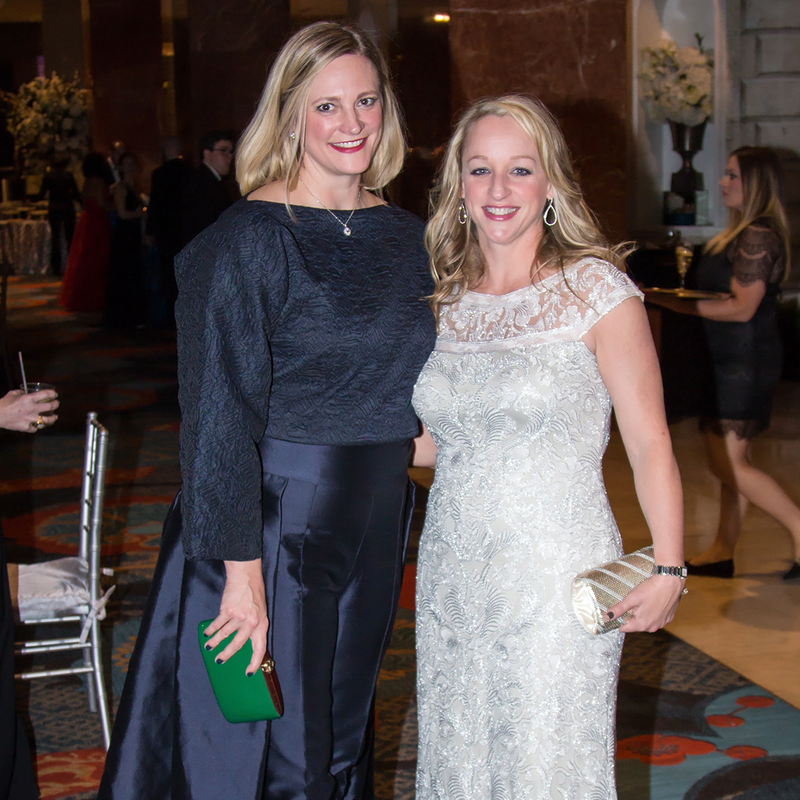 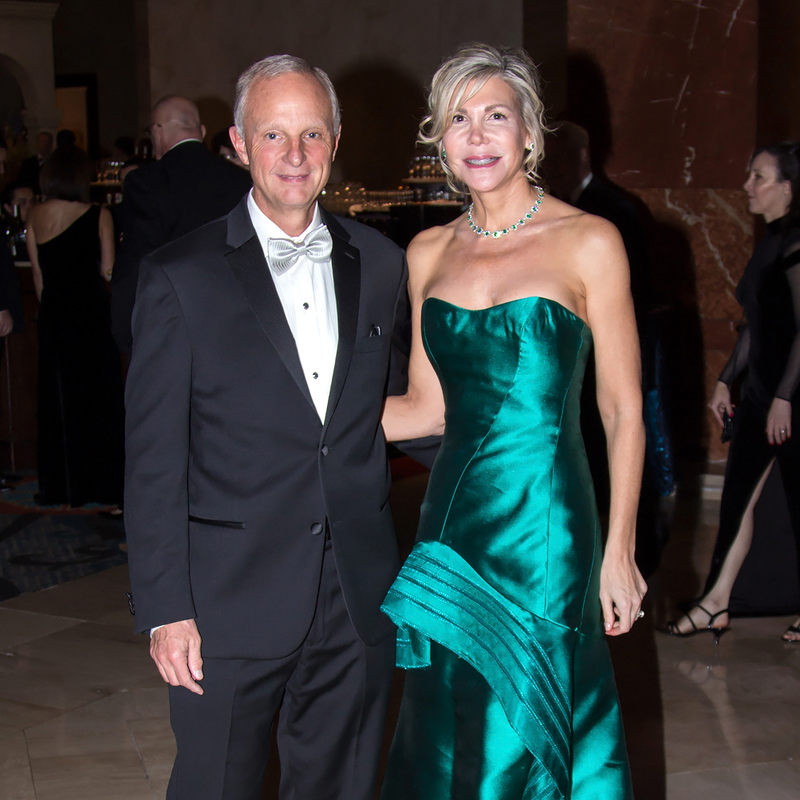 The Crystal Charity Ball, known as the grand finale of the fall social season in Dallas, also is famous for bringing out the city's best dressed philanthropists. 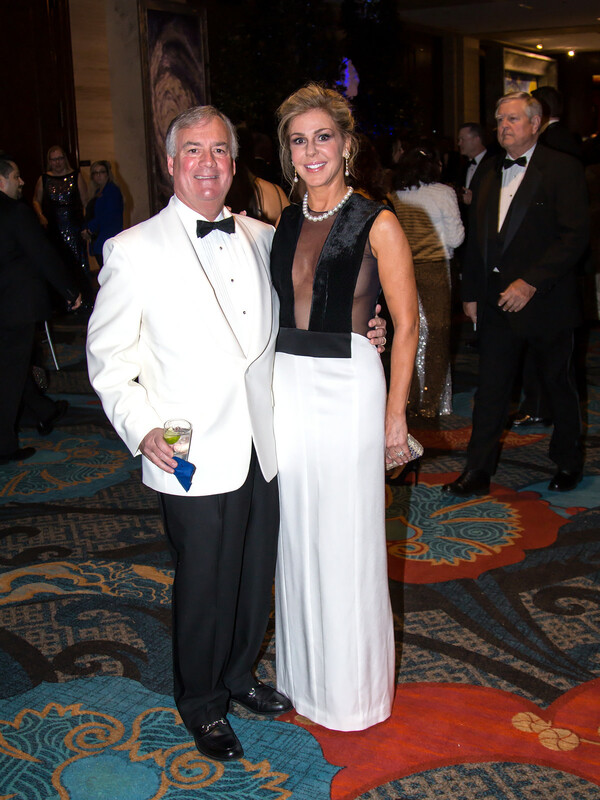 Every year we can't wait to see what the ladies — and a few dapper gents — wear to the grand affair that raises funds for local children's charities. 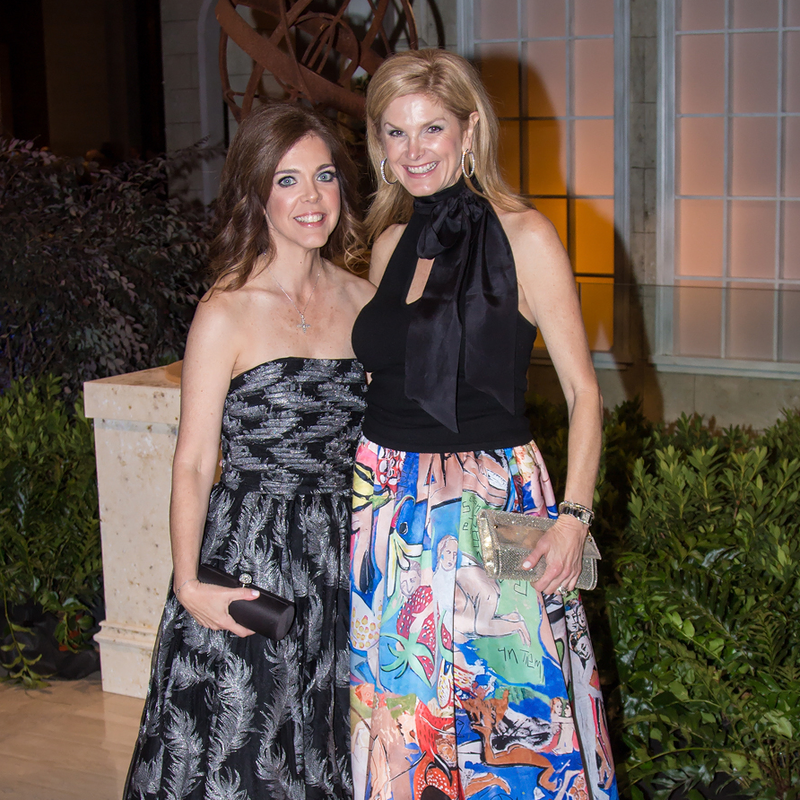 The looks ranged from sleek silhouettes to full-skirt ball gowns, in both vintage and of-the-moment designers. 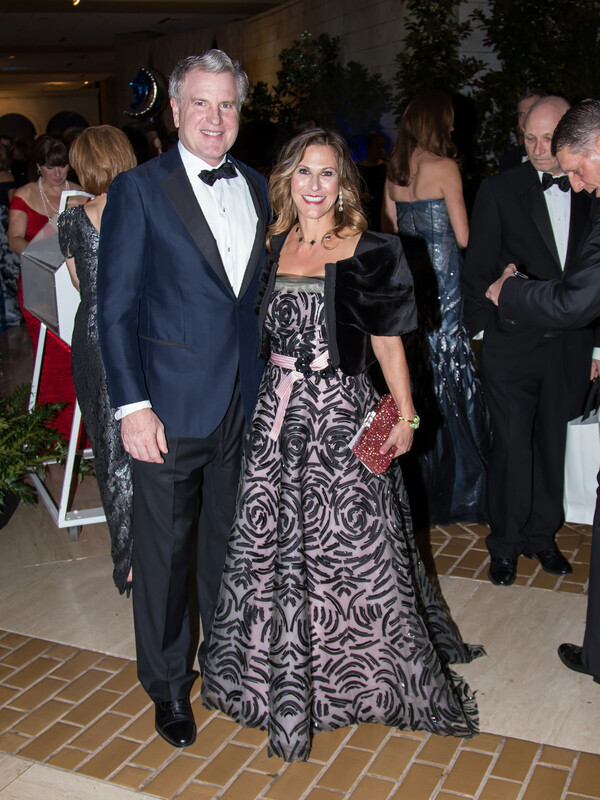 Oscar de la Renta always is a favorite, and this year was no exception. 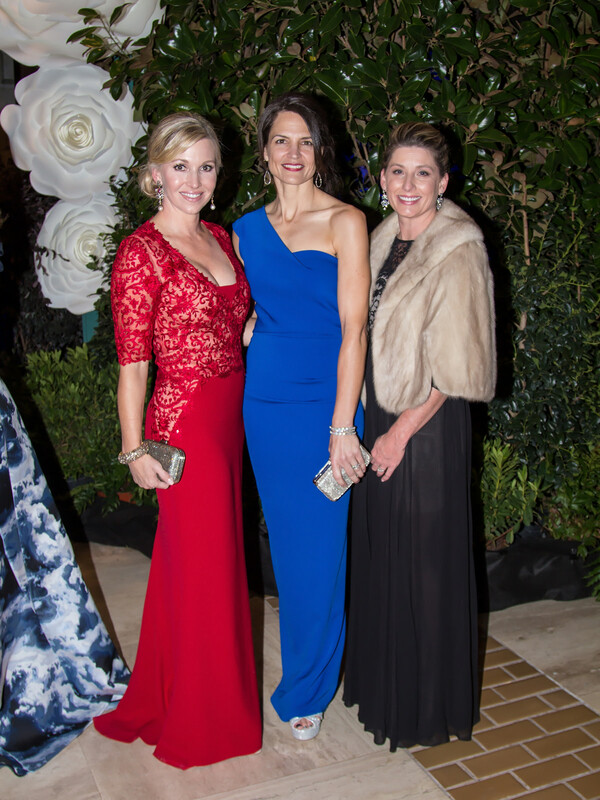 Sunie Solomon, Vicki Chapman, and Cynthia Miller glowed in gowns from the famed design house. 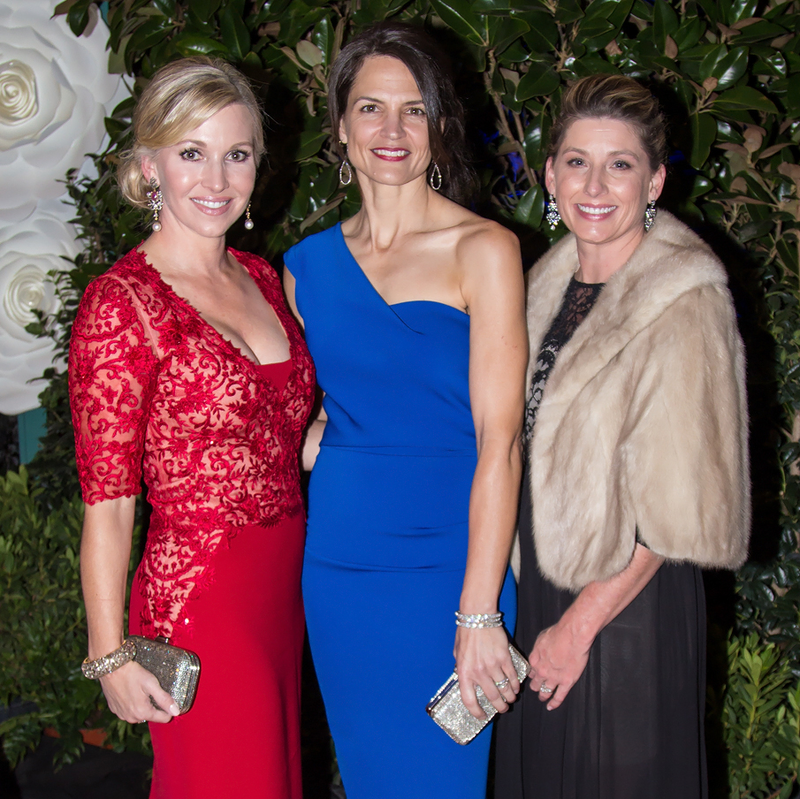 Margaret Hancock, Kate Rose Marquez, Lisa Troutt, and Amy Ware were among those who turned to Caroline Herrera. 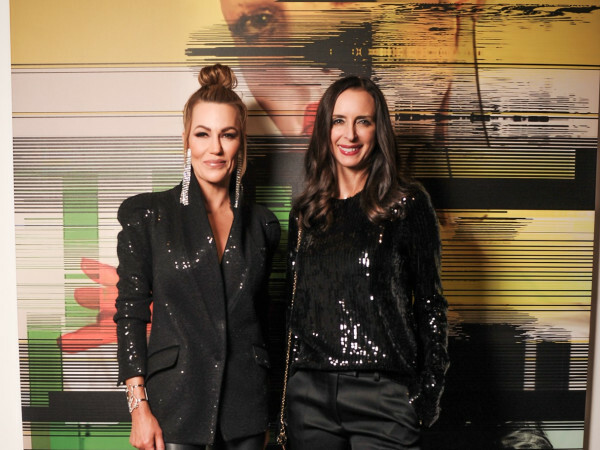 Angela Thompson wore an emerald-green show stopper from Angel Sanchez. 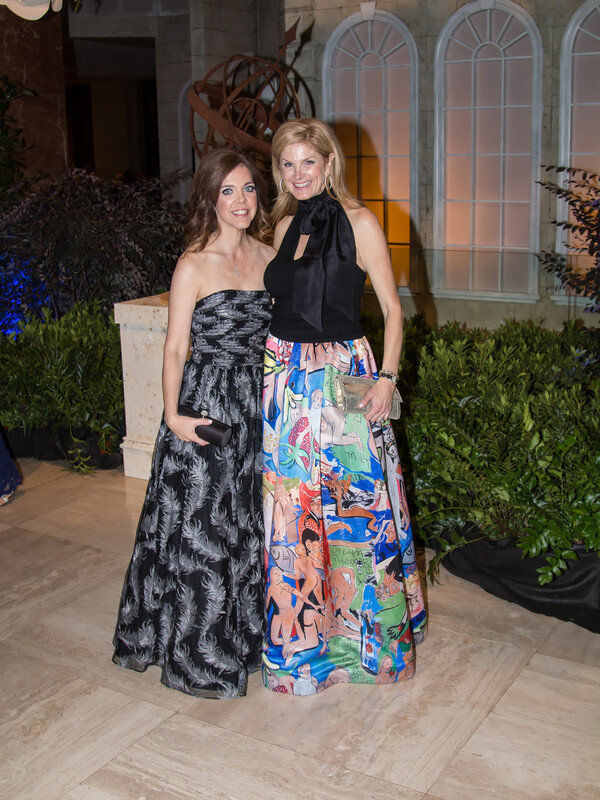 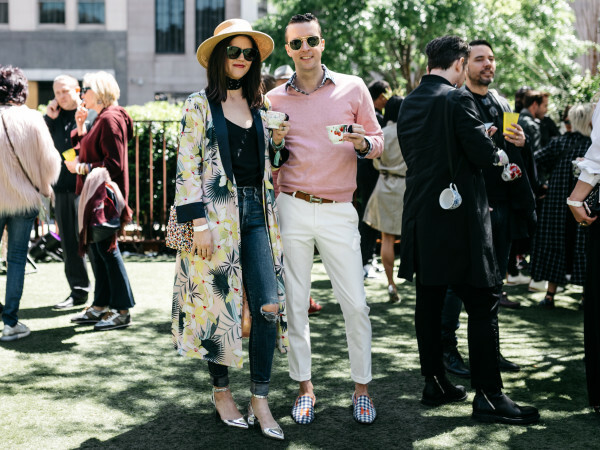 Among the requisite sparklers, we spotted lots of pretty prints — Sara Lee Gardner and Deirdre Huffines were standouts — and flattering one-shoulder designs. 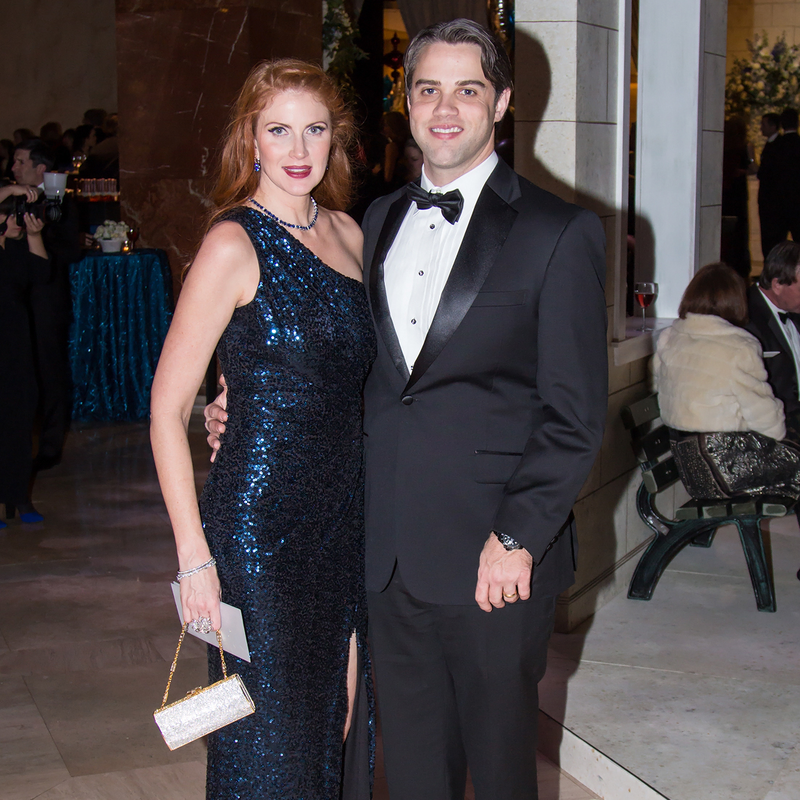 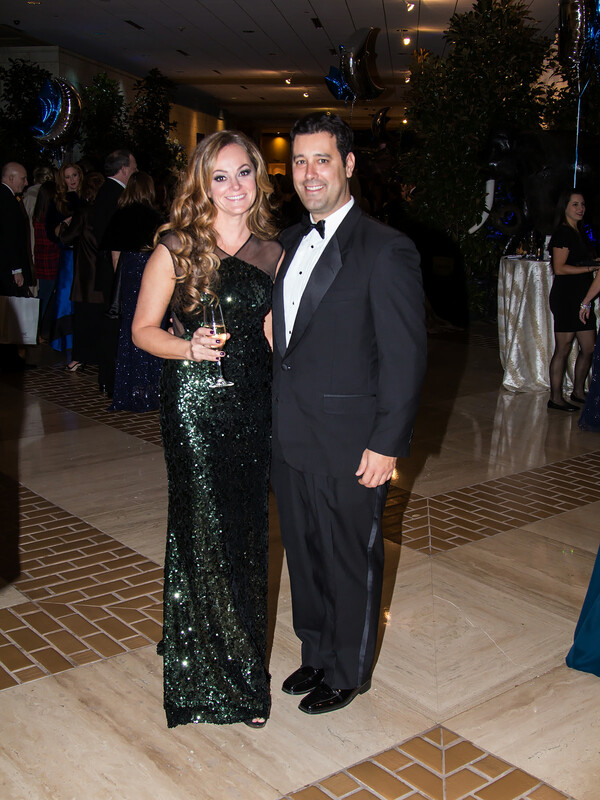 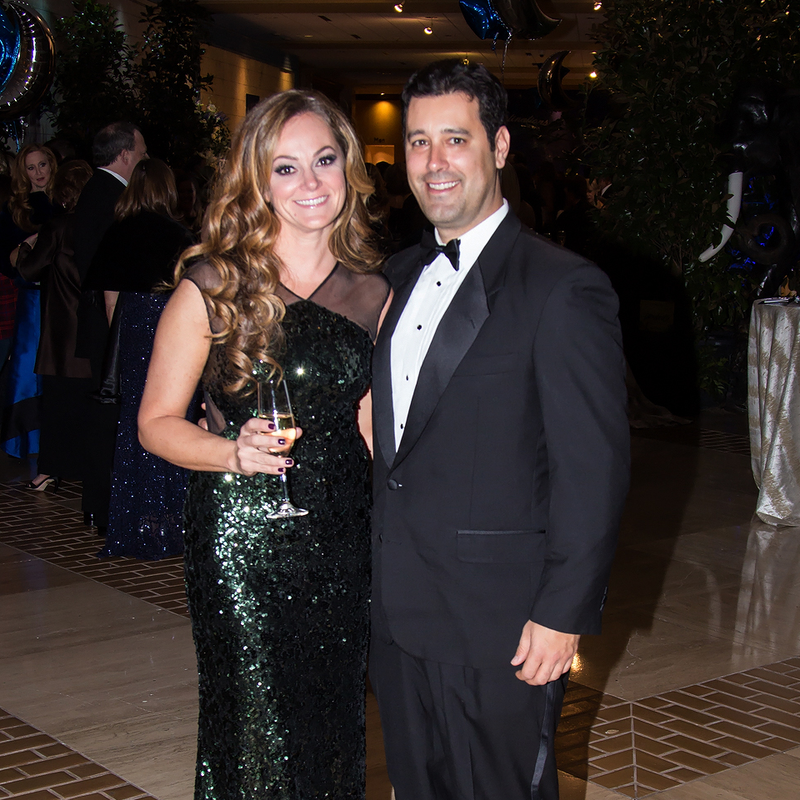 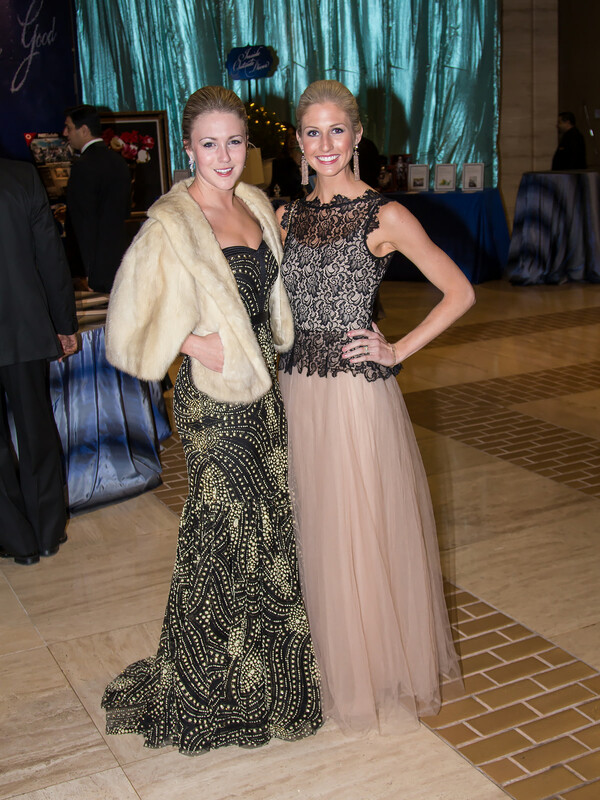 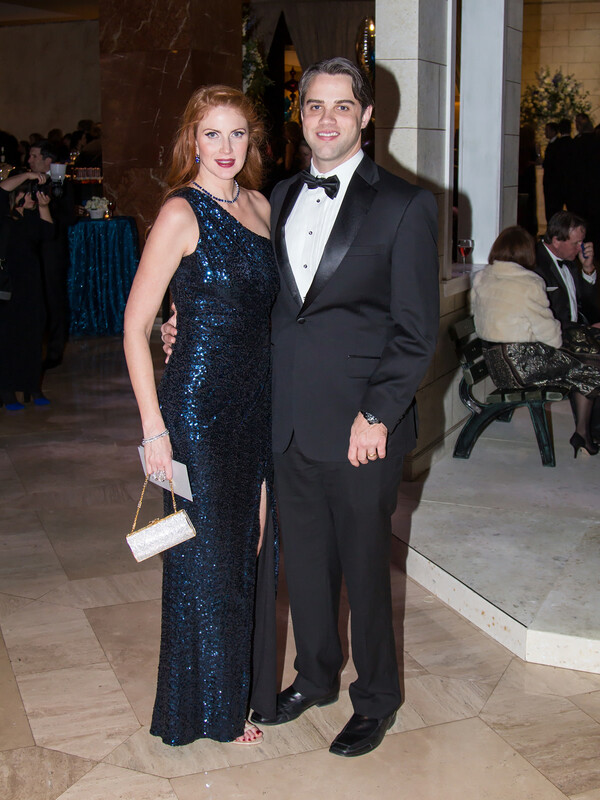 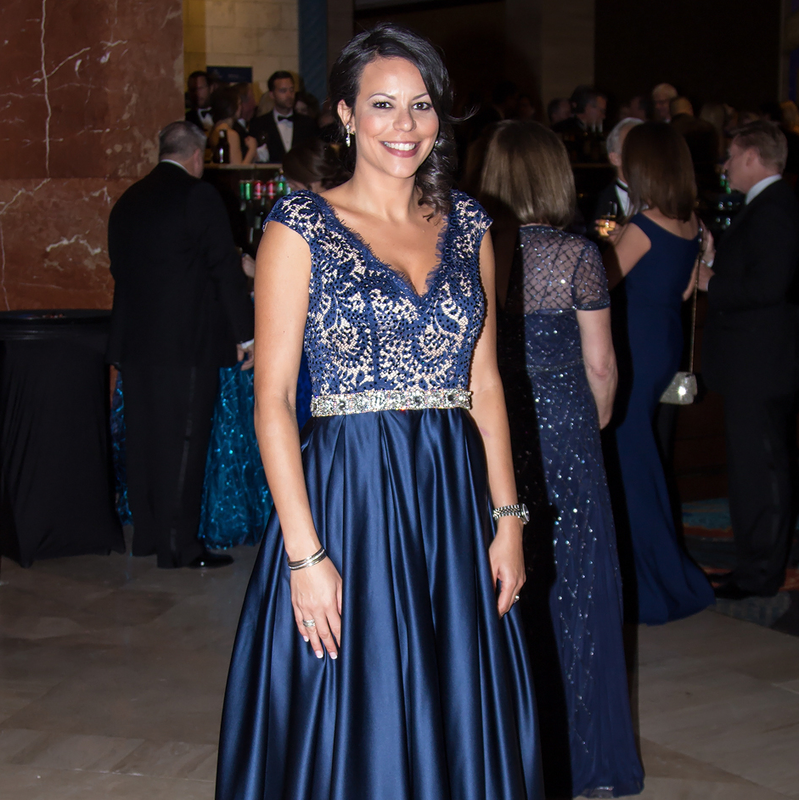 Given the theme, An Evening of Celestial Radiance, we expected attendees to shine.